One of the most successful cognitive psychology texts ever published: up-to-date, authoritative, and clearly written. 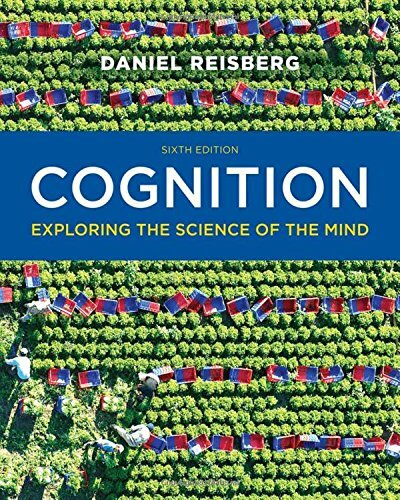 Cognition uses the best of current research to help students think like psychologists and understand how cognitive psychology is relevant to their lives. The Sixth Edition offers revised and revitalized ZAPS 2.0 Cognition Labs, enhanced neuroscience illustrations, and a new ebook, providing a highly interactive way for students to learn cognitive psychology. If you have any questions about this product by W. W. Norton & Company, contact us by completing and submitting the form below. If you are looking for a specif part number, please include it with your message.